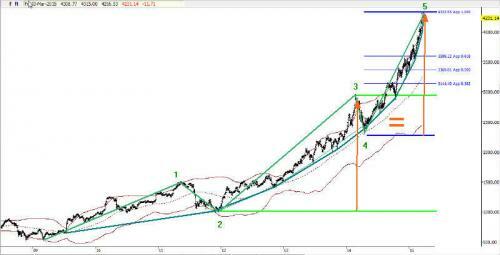 Here is my SP 500 chart showing A-B-C wave structure of this bull market completed. and one for the entire move. The long, thick lines are the Fibonacci Retracements for the entire wave up. 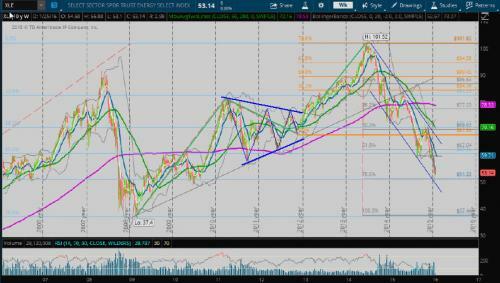 Notice how the .38 retracement lines up perfectly with the last major cyclical peak before the 2008 financial collapse. .50 (1400) or.618 (1227). 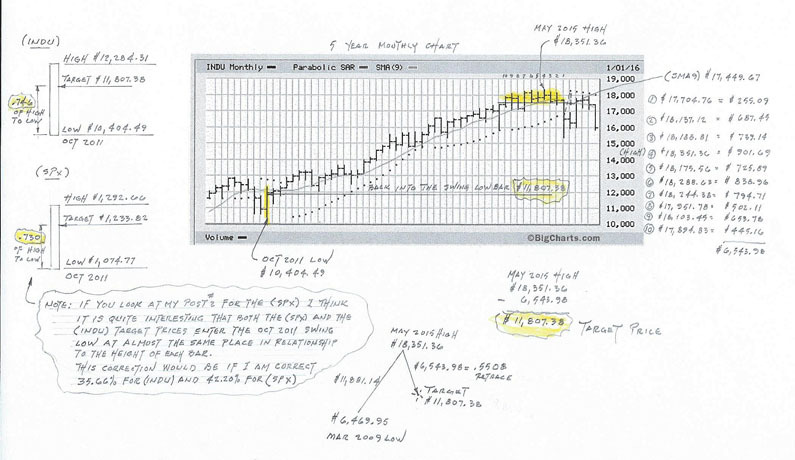 Glen Neely of Neowave trading has a good record and he is pointing to this area. He seems quite certain we will not see a full retracement or beyond as in the previous two bear markets. Right now price is sitting right at a confluence of the first .286 retracement level of Wave C AND the major 0-B trendline at 1885. If this level gives (similar support has already on the Transports and Russell 2000) things could accelerate rapidly. 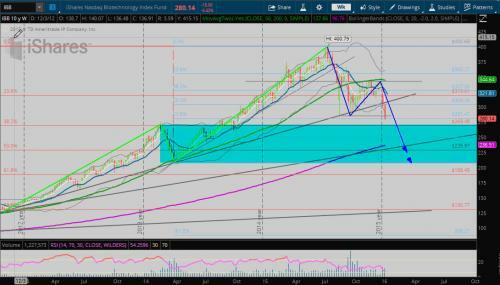 Then nothing really until at the prior bull market peak and .382 of this bull market at 1574. 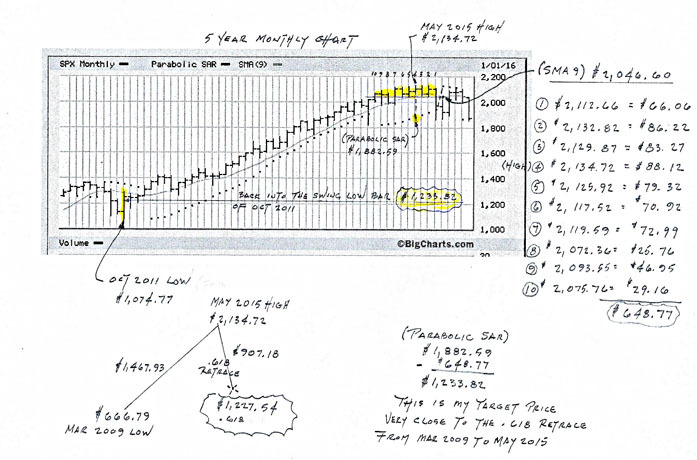 Notice towards the top the Fibonacci time extension. This entire bull market hit exactly the time it took between the last two bear market lows! 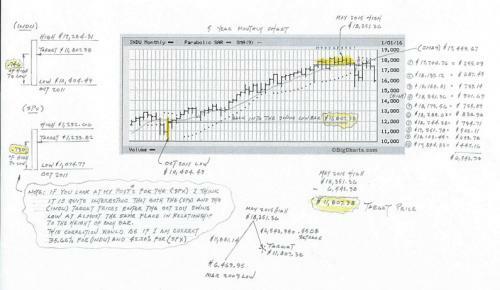 Mrhanky do you mean that Glen Neely is not looking for a full retrace back to $666.79 but just to the $1400 or $1227 area. I decided to work it up for fun and low and behold I came up with this target price of $1233.82. I wonder if it is right only time will tell. Carnac, yes @1230 area or .618 retracement which is what Mr.Neely's analysis concludes is the most likely price level for this bear market to end. 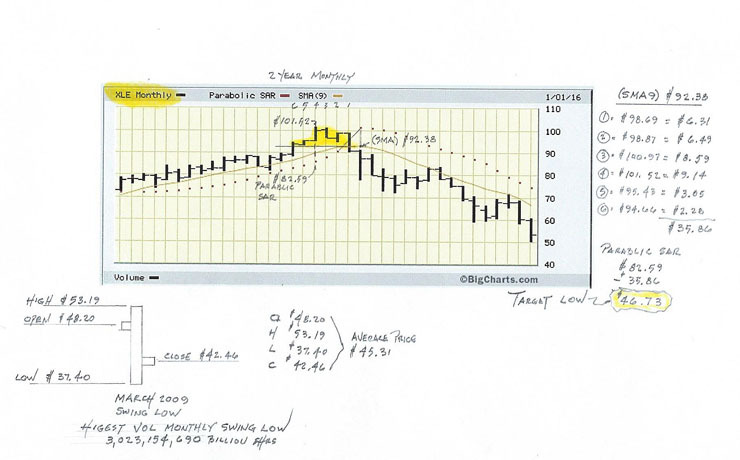 He uses an advanced method of Elliott Wave and has a very good record. I have been invested in his fund for almost 3 years and he has done exceptionally well in this crazy market!! I also hold some Hussman Funds almost since he started and have been somewhat disappointed but of course he usually adds some nice gains in bear markets so I am sticking with him. The Biotechs are exhibiting a nice trade set up here forming a triangle consolidation even though the market kept falling the past several sessions. Price is currently right on the orange line which is last Septs major low. The move out of this triangle will be tradable either way but I prefer to just play the short side. 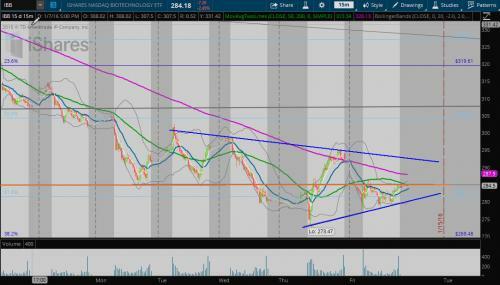 The only inverse etf available is BIS 2X if it breaks down but the move will be quick I am going to position trade it. Also put up my chart from last year anticipating the final top and it did print a slightly higher high a few months later but I was pretty damn close. MrHanky thanks for answering my question if you don't mind I have another. I just worked up the (indu) I presume that both spx and indu would both come back to the October 2011 swing low bar. Does Mr. Neely have any thoughts on the Dow. Just curious if my indu work agrees with his work at approx .500 retracement for the indu. Actually I am not in either just worked them up for fun. 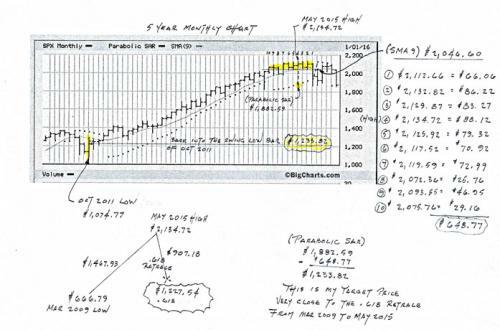 Mr. Neely only analyzes and trades the SP 500, GOLD, and 10 YR TREAS. 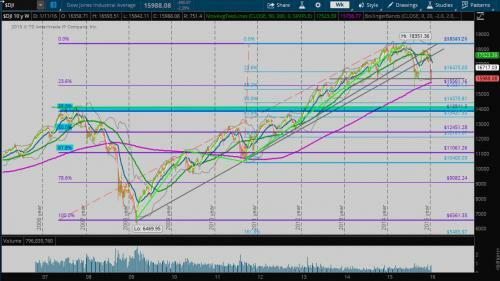 the 200 week SMA (bright purple). If you look the 200 week SMA has been important S/R. So if this level gives we are in for a continued decline. although previously price has always back tested it after going through in bull and bear markets. This would be the last chance to enter a low risk short if not fully in already if it does happen. The funny thing about the Dows bull is how channel like the whole thing was so that the C wave 2-4 trendline and very important 0-B trendline of the entire A-B-C were closely aligned and they have both been shattered. Just as on the SP 500 the .38 retracement lies right near its 2008 top, so does the Dows at 13,800. My view would be the same as SP minimal 13,800 more likely to end at the .62 at 11,000ish. 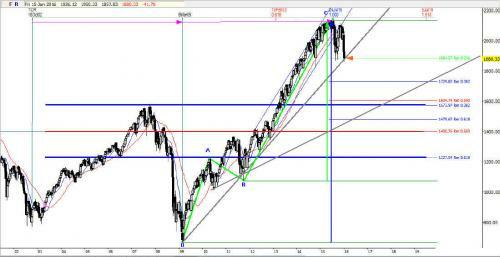 Next week will be very interesting to see if we get any reaction on so many indexes where this is last stand support. I see the SP futures are down 50 already now this evening so a CRASH warning is on RED ALERT!!! These trendlines are something to pay attention to also as this bear market progresses. I posted this last year in August when I returned from Canada. 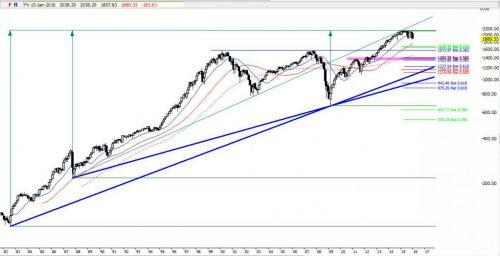 There had been a MACD sell signal on the long term monthly SP 500 chart at end of July. 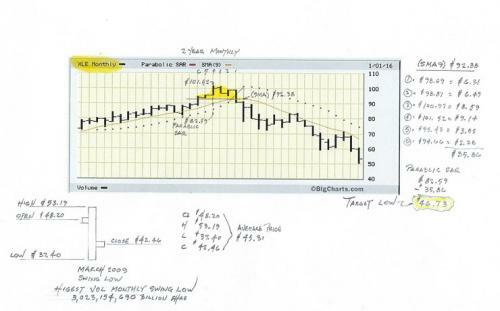 MrHanky thanks for the info and your wonderful charts they are interesting. 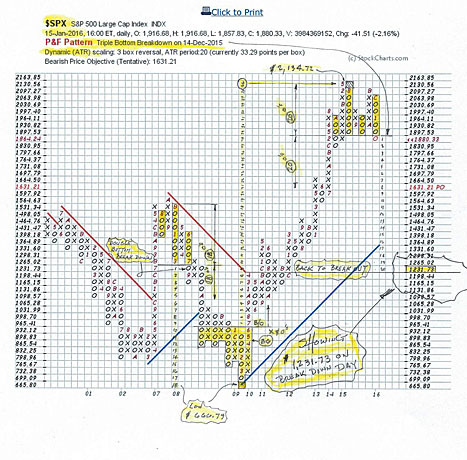 I decided to do a point and figure chart on the S&P and as you can see it certainly looks like we are going down to the .618 retracement area. Good for the "shorts"
I thank you for sharing your charts. 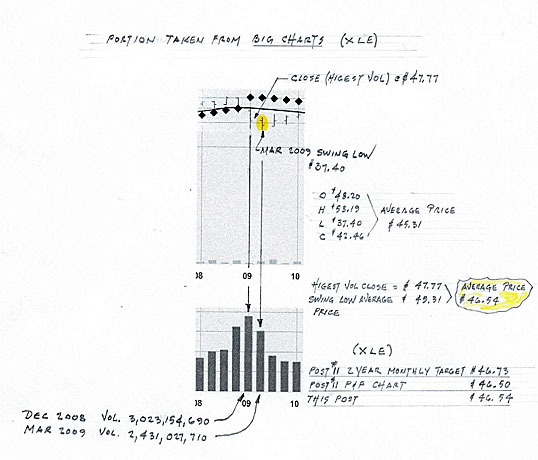 P & F is one charting method I have not studied and have no idea how to use properly. Yes it always something to pay attention to when various methods point to the same area creating increasing confluence and raising the probability it will be significant! Thanks for joining in here and by all means please do any time. Just trying to come up with reasons why my analysis will be correct maybe good maybe bad. The odd features are the long complex Wave 2 channel move and then severe, violent, and rapid Wave 3 dump. This created a very broad channel for trying to interpret the larger 5 wave move down but it is pretty clear now that I see the Wave 4 and drawing a FIB over the entire move so far lines up nicely with features that is should. The .50 of move is right on the huge weekly candle of Wave 3, the most powerful impulse of the move as it most often should. Sometimes its the .62 or .38 but rarely, especially the latter. Although this recent hammer doji and rally seem impressive, it really is not because it hasn't broke ANY significant type of resistance at all yet. 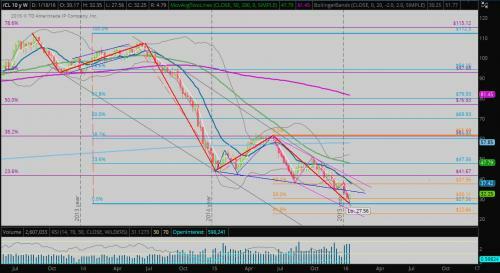 The orange FIBO is the extension of Wave 3 from start of Wave 5 and it was a little more than .50 (so far). This easily could turn around and hit the next .62 level at 22-23 yet. 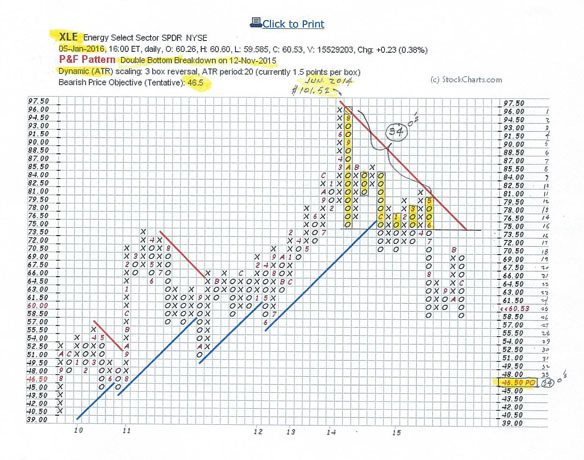 Looking at the XLE it could also either come back down for a double bottom with a slightly lower low which fits your projection while Crude puts in a new low. 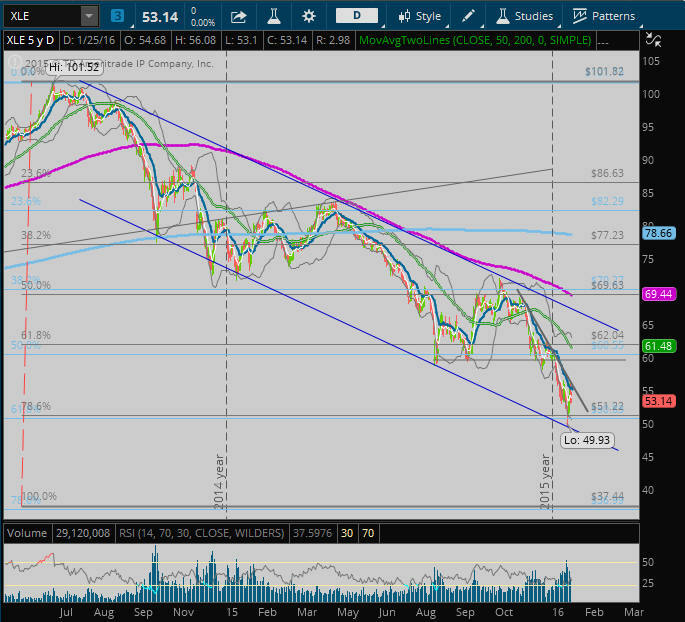 Crude loves to bottom in February! So I am still very cautious here but if this wasn't the bottom, we are very close! I will bring up XLE sometime this weekend and some other energy related indices/stocks to see if I can gain any further clarity. I would really like to start doing some longer term buying into the sector, made my first move adding SPH. MrHanky Thanks a lot for taking a look and spending time on your analysis for me. There are not any support levels I see using my techniques other the the prior low @50 or it could go back down to channel line and that would be in the area of your projection. This low was exact .78 retracement of the entire move up since 2009. I would like to see a bottoming formation of some type and double bottoms get it over quickly and are easy to trade into. If however Crudes 5th extends and we get another large decline, the next support on XLE I see is complete retracement to 37, it would have to fall out of the channel to happen anytime soon, but that's not unheard of and would accompany the entire markets crashing! The XLE bull market since 2009 is a perfect example of an Elliott Wave A-B-C with a beautiful B wave triangle!